Professor Gareth Griffiths is Professor of Clinical Trials within Medicine at the University of Southampton. Professor Griffiths was appointed to the Chair of Clinical Trials and Director of the Southampton Clinical Trials Unit in July 2014. Having graduated with a BSc in Biological Sciences (joint statistics and biology) at Reading University, a MSc in Statistics in applications in Medicine at Southampton University and later a Phd in bladder cancer clinical trials at Cardiff University, has spent the majority of his career in the area of clinical trials. He has held the position of senior statistician/scientific lead at the MRC Clinical Trials Unit, London, Director of the National Institute for Social Care and Health Research (NISCHR - Wales) Cancer Registered Research Group and Director and founder of the Wales Cancer Trials Unit in Cardiff before his current appointment at Southampton University. Professor Griffiths is the Director of the UKCRC registered Southampton Clinical Trials Unit (CTU) which is based within the Faculty of Medicine. Southampton CTU is Cancer Research UK (CRUK) core funded and receives National Institute for Health Research (NIHR) clinical trials unit support funding. 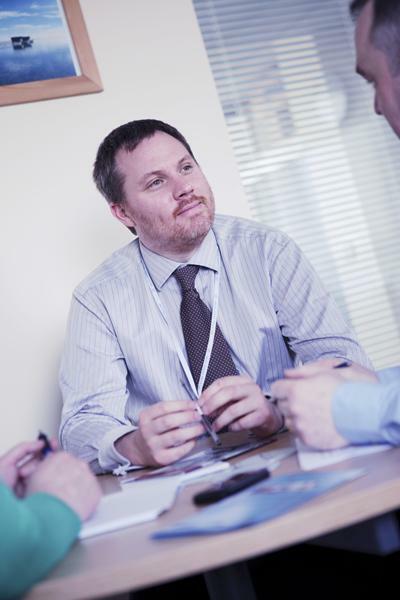 Professor Griffiths’s area of expertise and research is in the area of clinical trials. His Clinical Trials Unit undertakes research in cancer and non-cancer, using clinical trials, and other well design studies, to investigate new interventions (drug and non-drug). Within cancer his interests lie in cancer therapies (including novel agents), primary care oncology and supportive care. Professor Griffiths is internationally recognised in the area of bladder cancer clinical trials and nationally in upper gastro-intestinal cancer and palliative and supportive care. Professor Griffiths has been involved in the development of over 40 clinical trials (phase I/II-III) and associated studies and has represented CRUK on numerous occasions at national and international meetings (e.g. US National Institute of Health in developing global trials in rare cancers) and have lead statistical task forces to advise CRUK funding committees on appropriate clinical trials designs to fund. Duchesne, G. M., Bolger, J. J., Griffiths, G. O., Trevor Roberts, J., Graham, J. D., Hoskin, P. J., ... Parmar, M. K. (2000). A randomized trial of hypofractionated schedules of palliative radiotherapy in the management of bladder carcinoma: results of medical research council trial BA09. International Journal of Radiation: Oncology, Biology, Physics, 47(2), 379-88. Griffiths, G., Byrne, A., Hood, K., & Maughan, T. S. (2008). Design and Conduct of research and clinical trials. In D. Walsh (Ed. ), Palliative Medicine (pp. 148-156). Mosby. Schunemann, H., Ventresca, M., Crowther, M., Di Nisio, M., Briel, M., Zhou, Q., ... Zulian, G. (2017). An individual participant data meta-analysis of 13 randomized trials to evaluate the impact of prophylactic use of heparin in oncological patients. Abstract from 59th ASH Annual Meeting and Exposition, Atlanta, United States. Van Es, N., Ventresca, M., Zhou, Q., Noble, S., Crowther, M., Di Nisio, M., ... Schunemann, H. (2017). The Khorana Score for the prediction of venous thromboembolism in patients with solid cancer: An individual patient data meta-analysis. Abstract from 59th ASH Annual Meeting and Exposition, Atlanta, United States. Griffiths, G., Lester, J. F., Casbard, A., Roberts, K., & Tabi, Z. (2014). A phase II trial to assess the safety and immunological activity of TroVax plus pemetrexed/cisplatin in patients with malignant pleural mesothelioma. The SKOPOS trial. S82. Griffiths, G., Maddocks, M., Halliday, V., Taylor, V., Chauhan, A., Nelson, A., ... Wilcock, A. (2013). Is neuromuscular electrical stimulation (NMES) an acceptable and feasible exercise intervention for patients with non-small cell lung cancer (NSCLC) receiving palliative chemotherapy? Preliminary results from the NCRI NMES trial. S46-S47. Griffiths, G., Harrop, E., Nelson, A., Edwards, M., Sivell, S., Hood, K., ... Noble, S. (2013). Living with lung cancer: a longitudinal interview study with patients participating in the FRAGMATIC trial. Griffiths, G., Edwards, M., Sivell, S., Harrop, E., Nelson, A., Hood, K., ... Noble, S. (2012). Motivations of palliative lung cancer patients to participate in a non-placebo clinical trial (QualFRAG). S36. Griffiths, G., Fennell, D., Casbard, A., Nixon, L., & Lester, J. (2012). Vinorelbine in mesothelioma (VIM): a randomised phase II trial of oral vinorelbine as second-line therapy for patients with malignant pleural mesothelioma(MPM) expressing BRCA1- a study in progress..
Nelson, A., Fenlon, D., Morris, J., Hood, K., & Griffiths, G. (Accepted/In press). QUALZICE: A Qualitative exploration of the experiences of the participants from the ZICE clinical trial (metastatic breast cancer) receiving intravenous or oral bisphosphonates at clinic or home.. Poster session presented at National Cancer Research Institute annual conference, United Kingdom. Griffiths, G., Macbeth, F. R., Noble, S., Burns, S., & Maughan, T. S. (2009). Interim safety data on the FRAGMATIC trial: a randomised phase III clinical trial investigating the effect of FRAGMin® added to standard therapy in patients with lung cancer.. S413. Griffiths, G., Dorman, S., Jolley, C., Abernethy, A., Currow, D., Johnson, M., ... Booth, S. (2009). Researching breathlessness in palliative care: consensus statement of the National Cancer Research Institute Palliative Care Breathlessness Subgroup. 213. Griffiths, G., Sebag-Montefiore, D., Steele, R., Quirke, P., Grieve, R., Khanna, S., ... Stephens, R. (2006). Routine short course pre-op radiotherapy or selective post-op chemoradiotherapy for resectable rectal cancer? Preliminary results of the MRC CR07 randomised trial. Harland, S. J., Kynaston, H., Grigor, K., Wallace, D. M., Beacock, C., Kockelbergh, R., ... Griffiths, G. (2008). Re: A randomized trial of radical radiotherapy for the management of pT1G3 NXM0 transitional cell carcinoma of the bladder. The Journal of Urology, 179(4), 1639-1641. Griffiths, G., MD., S., RJ., S., & LA., S. (2004). Is BCG better than MMC in preventing progressive disease in patients with superficial bladder cancer? The jury is still out. Urology, 686-687. Griffiths, G., Keen, R. W., & Spector, T. D. (1996). Patients who have had fractures ?f the distal forearm do not lose bone as expected. The BMJ, 821.